Harlington School commits significant resources to high quality careers advice. We have a fully qualified independent careers advisor. As a school we are passionately committed to the delivery of Careers and Higher Education Information, Advice and Guidance. At a time when many schools have been criticized by the government for reducing Careers provision we have increased our provision. We deliver a package of Advice Information and Guidance to students in year 7 to year 13. Students in all years have a taught Careers program that is delivered through drop down days and PSHE lessons. Students in years 8, 9,10,11,12 and 13 and are offered individual appointments every year if they need any extra support. 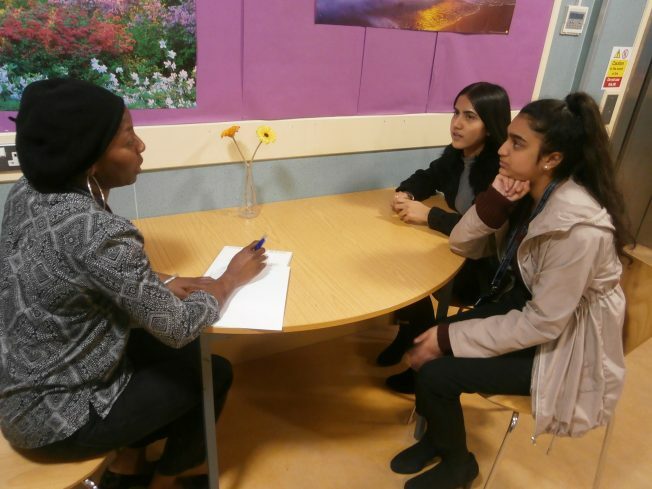 All pupils in year 8 and 11 are given individual interviews and small group sessions to prepare for their GCSE and Post 16 options. All year 12 and 13 have access to individual sessions and the drop in service. We have a dedicated Careers room with access to prospectuses and careers information and local employment trends. We also organize a yearly Careers Fair that is attended by over 30 local employers, apprenticeship providers, further education establishments and universities. This is a hugely successful event that is open to pupils in years 8 to 13. As part of our careers provision we also host a series of STEM workshops. These show pupils the benefits of careers in Science, Technology, Engineering and Mathematics.